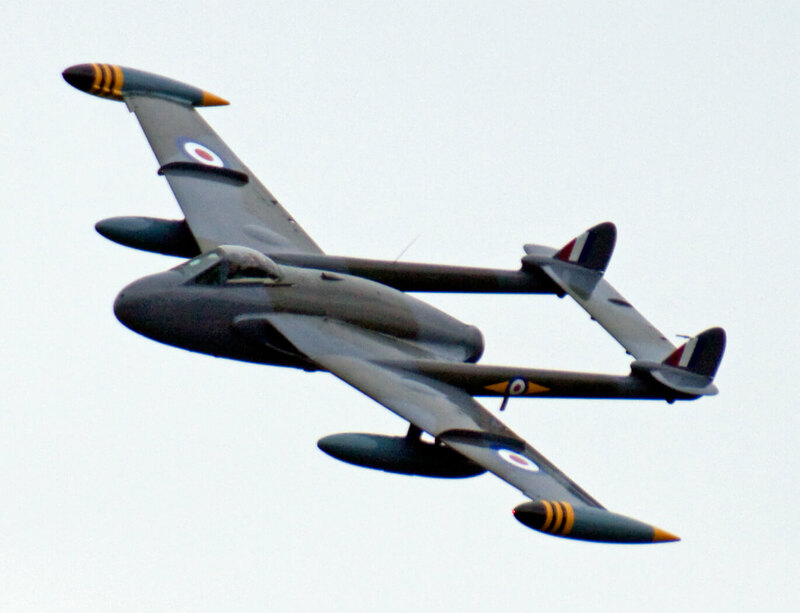 The De Havilland Venom was designed as a replacement for the De Havilland Vampire and shared the same basic layout and a number of detailed components. 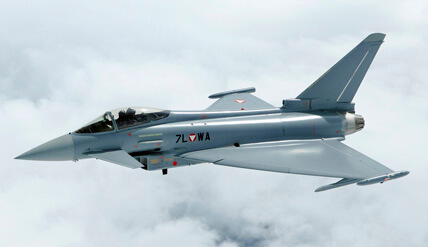 It differed in being fitted with a more powerful DH Ghost engine, and a thinner wing with more sweepback. The prototype first flew in 1949, and nearly 1,500 of all the variants were produced, including licence production in France. 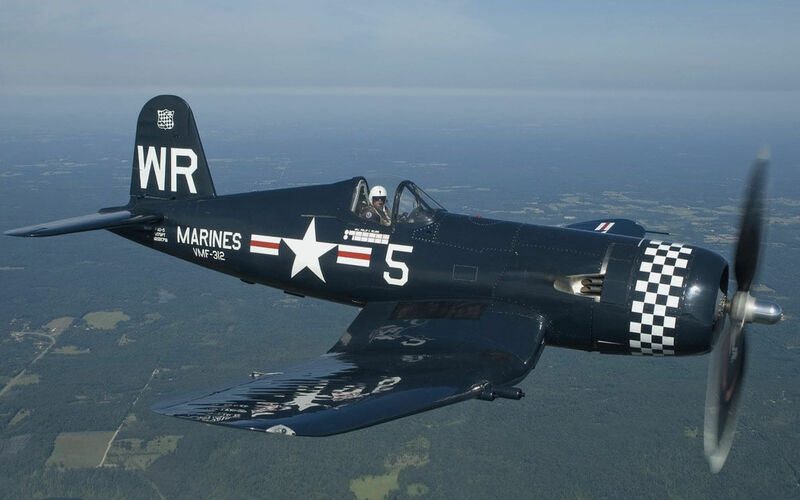 A two-seat version was used for the night-fighter variants and served as the base for the naval variants. 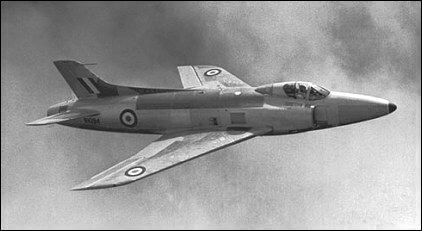 We offer three titles for various marks of the De Havilland Venom & Sea Venom. Each title contains at least three flight manuals (usually titled Pilot’s Notes) for the Venom. 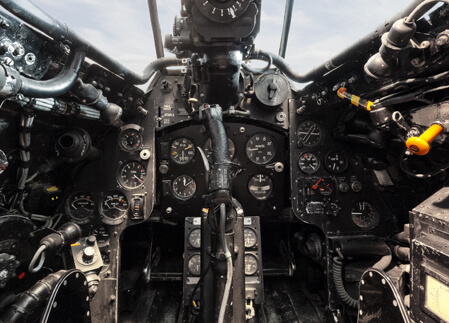 Each file has been scanned from the original flight manuals and retains any colour pages. Each title is US$9.95. RAF Pilot’s Notes for the Venom FB.1, AP 4335A-PN, 2nd Edition dated May 1954, with approx 63 pages. 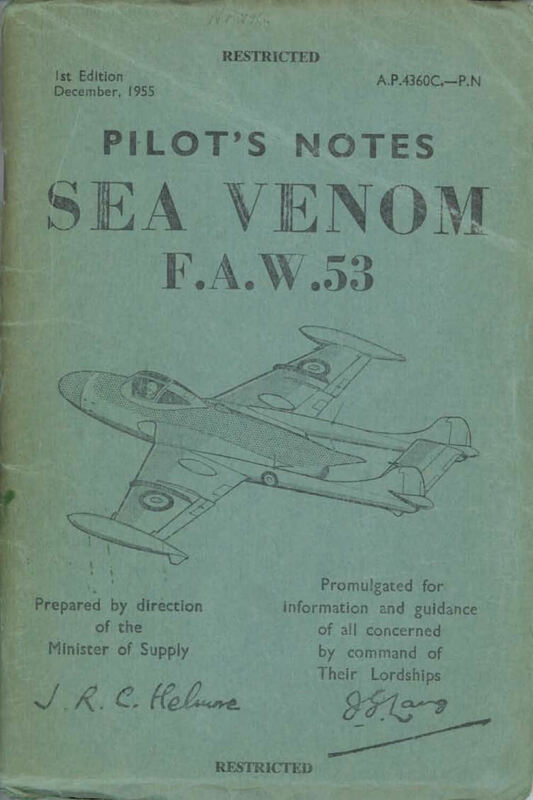 RAF Pilot’s Notes for the Venom FB.4, AP 4335D-PN 2nd Edition dated April 1958, with approx 95 pages. 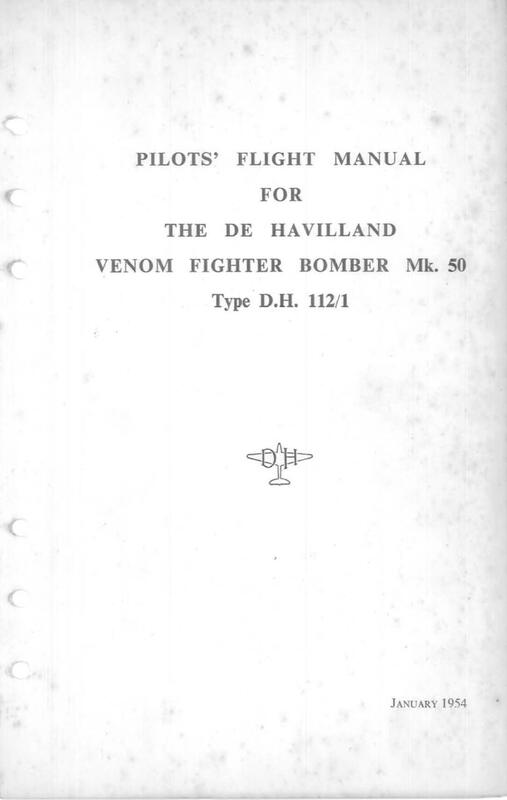 De Havilland manufacturer’s Pilot’s Flight Manual for the Venom Mk 50 Type DH112/1 publication VMR-1-112.PN dated January 1954, with approx 137 pages. 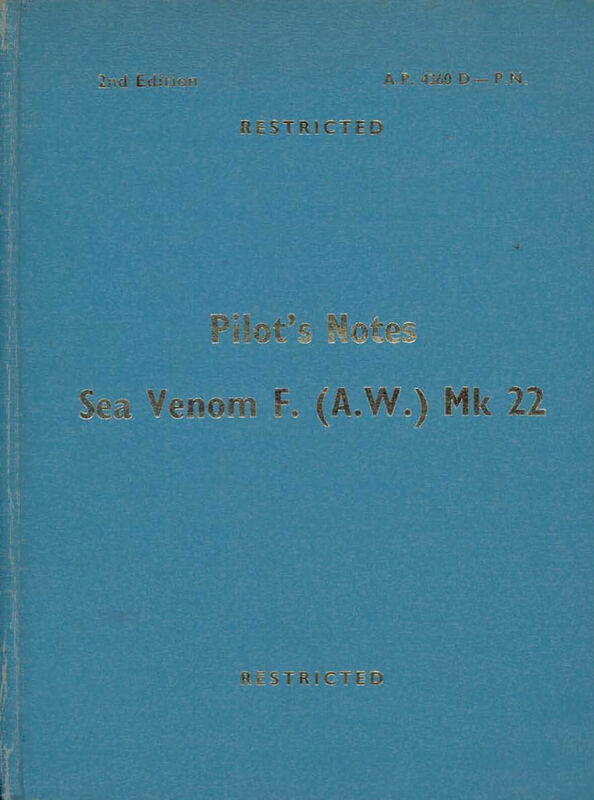 RAF Pilot’s Notes for the Venom NF.2, AP 4335B-PN, 1st Edition dated August 1953, with approx 52 pages. RAF Pilot’s Notes for the Venom NF.3, AP 4335C-PN 1st Edition dated April 1955, with approx 70 pages. 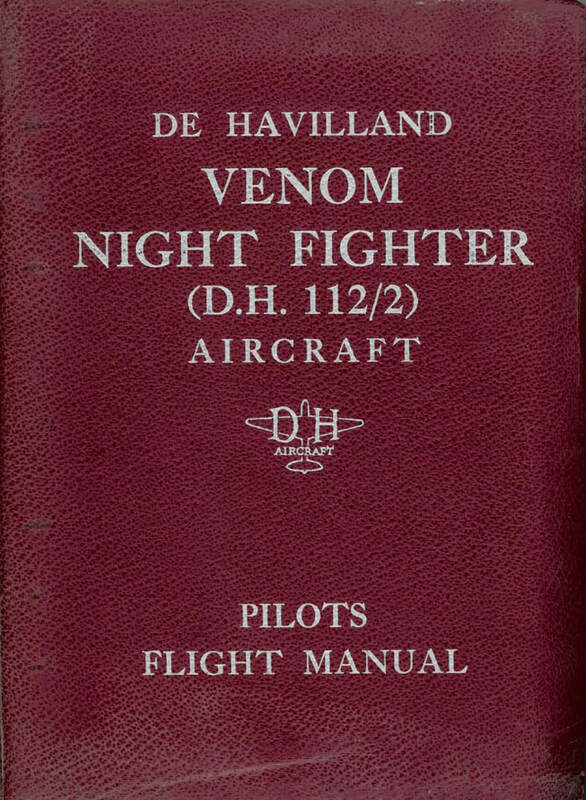 De Havilland manufacturer’s Pilot’s Flight Manual for the Venom Night Fighter N.F. Mk 51 Type DH112/2, publication VMR-1-112/2.PN dated March 1953, with approx 100 pages. 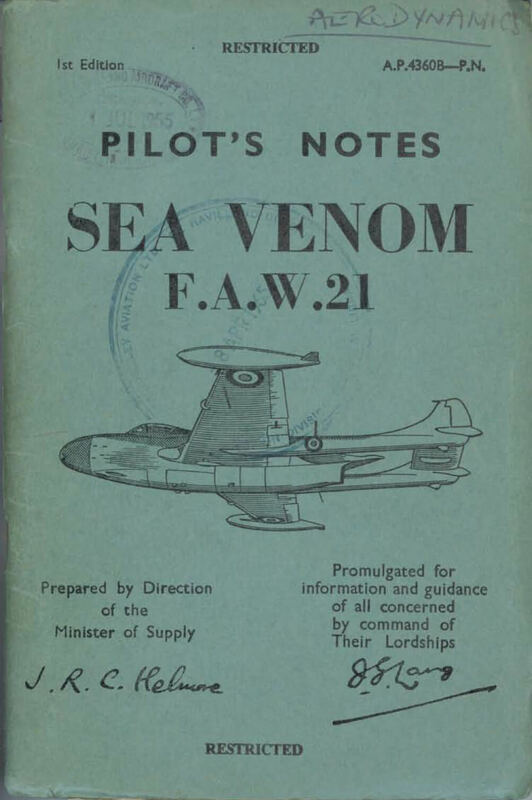 RAF Pilot’s Notes for the Sea Venom FAW.20, AP 4360A-PN, 2nd Edition dated October 1957, with approx 85 pages. 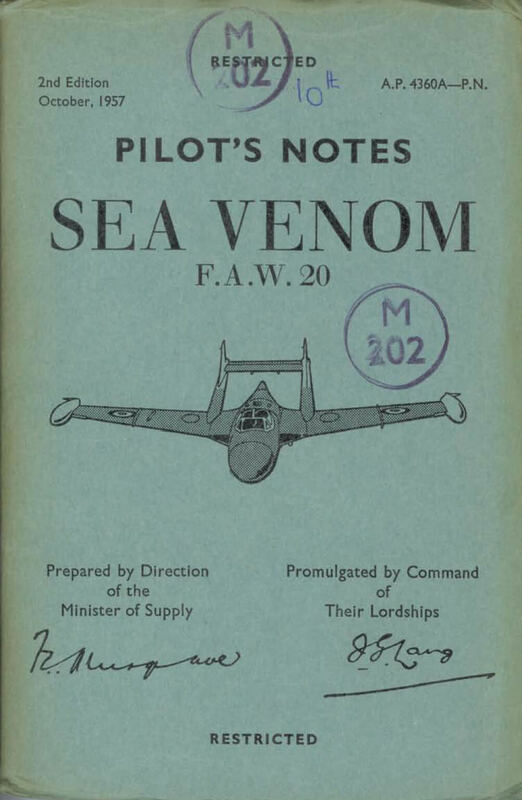 RAF Pilot’s Notes for the Sea Venom FAW.21, AP 4360B-PN 1st Edition dated May 1955, with approx 78 pages.